WWE has a great deal with Fox Sports that is set to kick off in October. However, their dwindling ratings might be a huge concern and could cause them to lose their $1 billion deal. 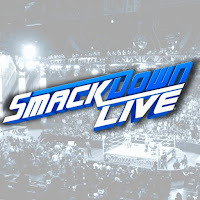 Bryan Alvarez said on Wrestling Observer Live that if WWE doesn’t pull their ratings up for SmackDown Live then Fox is very likely to cancel them. In fact, he was very sure of that and based on the history of the business and television trends because it has happened before. WWE doesn’t need it to happen again. Alvarez continued noting that someone sent him a list of Fox shows with the same ratings as SmackDown Live and they were all canceled. WWE needs to really step up the blue brand’s game and do something quick before things get out of hand. Because nothing is a sure thing on network television.